The voice behind some of Bollywood’s hit dance numbers – Mika Singh was seen having a good time with his friend and host of Indian Idol 10 – Maneish Paul on Sony Entertainment Television’s game reality show, ‘Dus Ka Dum – Dumdaar Weekend’. 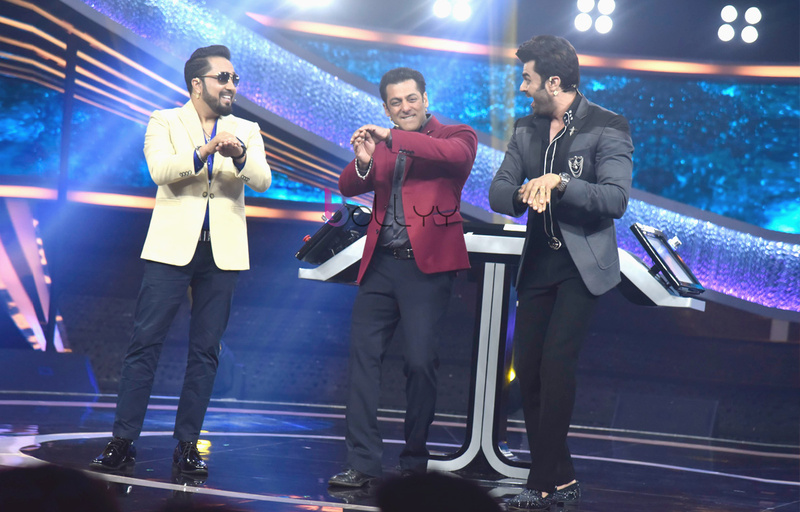 Mika Singh and Maneish Paul enjoyed a fun game play with the Dumdaar host Salman Khan who also happens to be their friend. When a question was asked on, ‘How many people learn a musical instrument to impress a girl?’, it seems like Mika Singh is someone who went all out. The ace singer learnt a whopping 50 instruments before he came to Mumbai. It is impossible to name any instrument which Mika Singh doesn’t know, the singer who has a brilliant voice is an instrument king as well! As everyone knows Mumbai is a city of dreams, the multitalented musician came to the city in the hopes of being a music director and keeping his focus and determination in mind, he knew that if he had wanted to rule that space, he had to know all the instruments. We can definitely see that the hard work, dedication and effort has totally pulled off and today, everyone knows Mika Singh. A source from the set revealed, ”It is very likely that some friends learn an instrument to impress their crush and it is almost a successful effort. On the other hand, Mika Singh learning 50 instruments in a short span is a great height of achievement. Salman Khan never fails to entertain his fans with his personal stories. He revealed on the show that father- Son duo, Arbaaz Khan and Arhaaz Khan are also learning an instrument and it definitely won’t be an effort for them to impress a girl. The upcoming episode of Dus Ka Dum – Dumdaar Weekend is definitely going to be a musical watch. Ekta Kapoor shifts gears with Imtiaz Ali’s Laila Majnu !